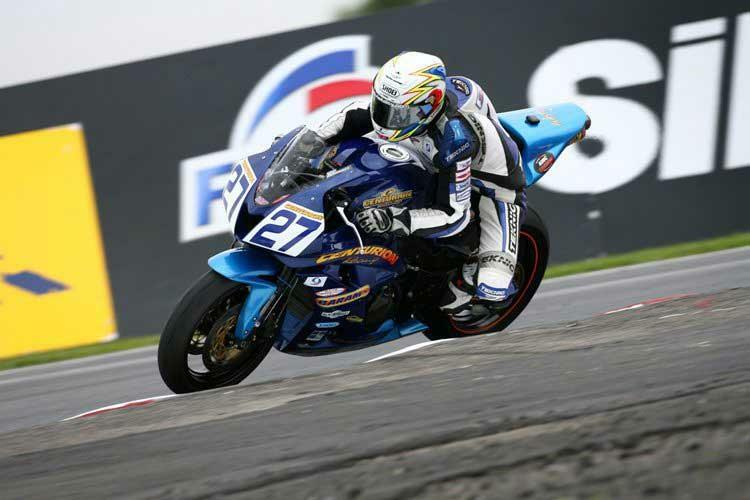 James Westmoreland was arguably the surprise package of 2008 in the British Supersport Championship. The former 125cc front-runner proved his Supersport prowess in his second year with Centurion Racing, finishing the season fourth in the standings following a string of podium finishes including a second place at Knockhill. But the 20-year old has switched colours for 2009, joining NCT Yamaha for the new campaign. MCN caught up with him to find out what his thoughts were heading into the winter break. Why did you leave Centurion Honda? I was looking for a new challenge in 2009, and after two successful years with that team, I felt it was time to move on, and just have a new challenge. So what made you choose NCT? When I was looking for a ride for 2009, I saw NCT as a quality team, and they really believed in me and I believe in them as a team. It’s a great package that they’ve given me and I’m very confident we can go for the championship. Where you happy with the way your results went this year? Yeah, we had a really successful year this year, and last year to be honest; I just hope we can get the title in 2009. Where do you see yourself next year results wise? I definitely want to be battling for the championship this season. How do you think you will the switch from Honda to Yamaha? I’ve already ridden the bike and its mega. The chassis is really good. Every bike has its good points and bad points, but this is definitely a solid machine. You just have to look at what Hudson Kennaugh did this year, when he won races he just checked out. Again look at Steve Plater; he was very strong this year. Do you see yourself as a favourite for the title this year, as the three men who were in front of you last year look to be departing from the championship? Definitely, I’m sure we can be running upfront every round. It’s a really strong all round we have. Plater will definitely be strong as well, and so will Billy, there both world class riders. How long is the deal with NCT? It is a 1 year deal at the moment. But I don’t want to be there for just one year, and they don’t want me to be here for just 1 year. I can definitely see myself there for 3 or 4 years, and the team feel the same. As we progress as a team, I’m sure we will be improving all the time. Any option to go to British Superbike with them in the 2010 season? Yes. The team are thinking about getting a superbike mid-season so we can develop it and get it up to speed for 2010. Also we will be competing in some World Supersport and foreign rounds this year so that’s definitely an option for 2009. How you going to prepare for the 2009 season? I’m going to be working harder than ever. Mountain biking, gym work, cycling, I will be fully fit and raring to go for the start of the season with one thing in mind; winning the Championship.